New York City, the Sixties. Walter Stackhouse (Wilson) is a successful architect with a beautiful home and a beautiful wife, Clara (Biel). In his free time he writes short stories about crime and murder. On the outside he’s living the perfect life, but his marriage is strained. 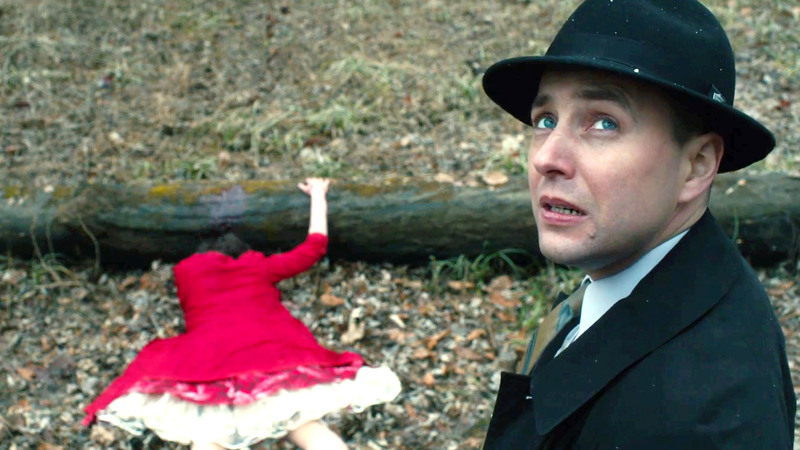 Clara has a history of mental instability, and is remote from him. At the same time, though, she’s jealous and possessive, accusing him of having an affair with a young woman, Ellie (Bennett), who attended a party they gave. When Clara is like this, Walter usually ends up in a local bar. It’s on one such occasion that he reads an article in a newspaper about the unsolved murder of a woman outside of New York at a rest stop called Harry’s Rainbow Grill. Suspicion seems to rest on the woman’s husband, a bookstore owner called Kimmel, but he has an alibi. This isn’t enough for the detective investigating the case, Corby (Kartheiser), who is convinced Kimmel is the killer. While he tries to intimidate Kimmel into confessing, Walter becomes more and more fascinated with the murder, and like Corby, becomes convinced that Kimmel is guilty. He even goes so far to visit Kimmel at his bookstore. But at home, his marriage goes from bad to worse. Clara takes an overdose and ends up in hospital. When she comes home, her jealousy remains firmly in place, and she remains convinced that Walter is having an affair with Ellie. When she’s proved right, Walter tells her he’s going to divorce her; Clara retaliates by saying she’ll definitely kill herself if he does. Undeterred, Walter continues with his relationship with Ellie, but when Clara leaves suddenly to visit her sick mother upstate, he follows the bus she takes until it reaches Harry’s Rainbow Grill. But though she gets off the bus, Walter doesn’t see her, and he heads back to New York City. Later, Walter receives terrible news, news that causes Corby to link him to the murder of Kimmel’s wife, his relationship with Ellie to falter, and his business partnership to founder. With his honesty and integrity on the line, as well as his freedom, Walter must find a way of extricating himself from a situation that grows worse every day, and that could ultimately cost him his life. 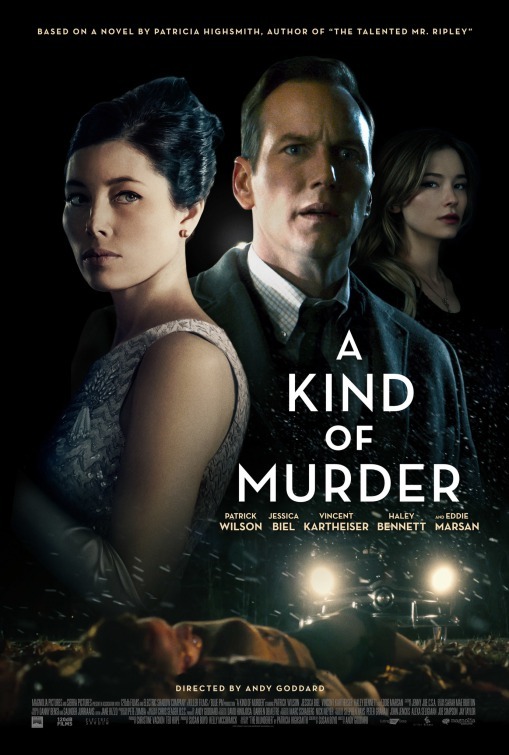 An adaptation of Patricia Highsmith’s novel The Blunderer, A Kind of Murder is a good-looking movie in search of a leading character for the audience to identify and sympathise with. Walter’s plight should be one that has the viewer on the edge of their seat, but thanks to both the script and Wilson’s performance, he’s vanilla bland from start to finish, and the movie never really knows how to make his predicament more intriguing or exciting. Walter becomes interested in the murder of Kimmel’s wife because he’s beginning to have thoughts about killing Clara. As he believes Kimmel killed his wife, Walter is supposed to feel some kind of kinship with the bookstore owner, but it’s all psychologically unconvincing. Walter channels his feelings about Clara into his writing, something we see on more than one occasion, and so any idea that he and Kimmel are similar can be disregarded from the start. What this leaves us with is a contrived relationship that never develops beyond an uneasy semi-alliance against Corby’s invasive and confrontational detective work. And there’s never any doubt as to whether or not Kimmel killed his wife, or if Walter’s situation will lead to his livelihood being compromised. As the movie progresses from potential whodunnit to unabashed thriller, Susan Boyd’s first-time script forgets to instil proceedings with any tension, as Walter’s predicament never sees him fully in jeopardy, or at risk of having his comfortable world taken away from him. And in conjunction with Boyd’s script, Wilson delivers what may well be one of his least successful performances ever. For an actor who can genre-hop with ease, and who at least doesn’t look out of place in a period drama, Wilson never connects with Walter and gives a wayward portrayal of a man whose calm, outward manner belies a compulsive, selfish individual hidden away on the inside. It’s this duality that the movie tries hard to promote, with Walter and Kimmel meant to be two sides of the same coin, and Clara and Ellie both representing the best and worst of Walter’s relationships with women. But again, there’s nothing for the audience to connect with. Even when Clara spells out her intention to kill herself if Walter goes ahead with the divorce, and tells him everyone will blame him for not doing enough to help her, there’s nothing there to back up that claim. It carries the weight of an empty paper bag, and as such, loses any validity, so that when Walter receives his terrible news, it doesn’t have the impact that it should have. And this is the moment when the viewer should find themselves completely on Walter’s side… but probably won’t. As a thriller, A Kind of Murder stumbles along trying to match Highsmith’s elegant turn of phrase to its early Sixties setting, and only doing so on very rare occasions. It also dispenses with any attempt at providing back stories for any of the characters, leaving us in a void when it comes to understanding their current motivations. 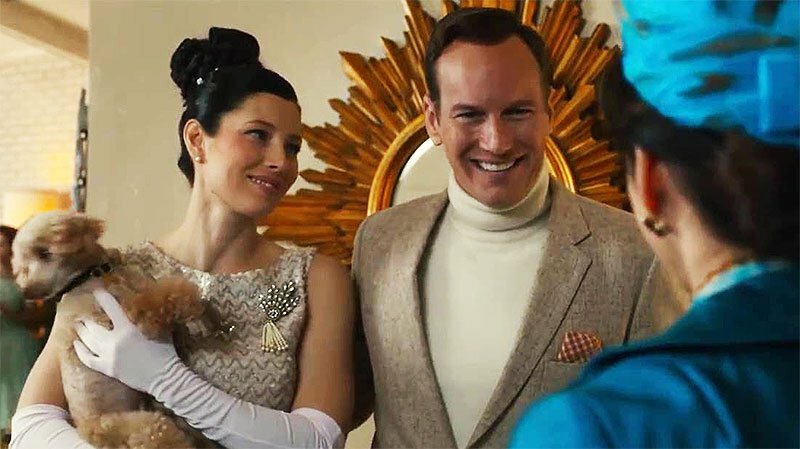 Clara is clearly mentally ill, and she’s clearly difficult to live with, so why Walter stays with her is a bit of a mystery (and a better one than if Kimmel killed his wife or not). And why Corby becomes so obsessed with Kimmel and bringing him to justice isn’t explained either. In the end, these are characters operating in a vacuum, occasionally bumping into each other but failing to make a proper connection. And so it goes for the length of the movie. Wilson’s disappointing turn is matched by Biel’s monotone performance, Kartheiser’s unncessarily angry cop, and Bennett’s subdued turn as Walter’s girlfriend. 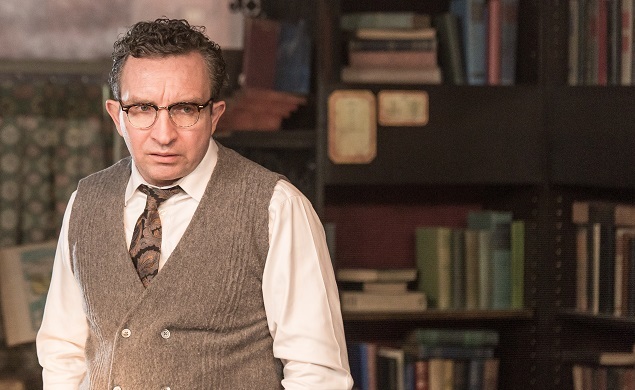 Only Eddie Marsan deserves any praise, giving the kind of unexpected, yet nuanced performance that this kind of movie needs to be anywhere near successful. His brooding, snake-like approach to Kimmel is a master-class in big screen malevolence. Tying all this together is Goddard, known mostly for his TV work, but not stretching his abilities too far in bringing this tale to the big screen. However, he’s on firmer ground with the movie’s recreation of Sixties New York, with its colourful vibrancy and Mad Men-style glamour of the period, and all despite (or in spite of) the wintry backdrop. But for anyone expecting more substance with their style, this isn’t the place to be looking for it. Rating: 5/10 – lacklustre in too many ways to even count, A Kind of Murder flatlines for most of its running time, and forgets to make itself interesting for the viewer; with so-so performances and a dull script, this is one thriller that can be given a wide berth unless you’re a fan of Marsan’s, or in an undemanding mood when it comes to choosing something to watch.